Does your line of work frequently require the services of specialised translators and sometimes as a matter of urgency? As one of the top legal translation agencies in France we collaborate with hundreds of lawyers, bailiffs, auctioneers, genealogical firms and the legal and financial departments of companies. We also translate for individuals in the field. As you know, the quality of a translation doesn’t just depend on a good command of the language but also on a thorough knowledge of the legal field. We select our translators based on these quality criteria. We have former lawyers on our team as well as certified translators from the Court of Appeal who are ready to apply their linguistic and legal knowledge of the specific law in every country. They provide faithful translations – which can include sworn or certified translations – of all your documents. When it comes to commercial law, we can combine the experience of a legal translator with the proficiency of a technical translator for optimum defence in litigation. With regards to international business development, our expertise in legal translation is matched by know-how in the field of financial and business translation. Our expert translators all have thorough experience in specific fields and are happy to help by translating trans-national contracts and agreements as well as the certification required when shipping goods. 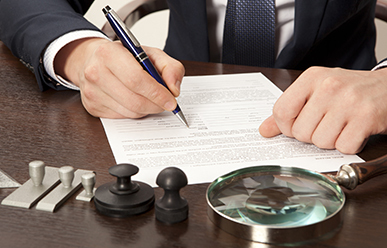 Our team is, in all cases, bound by confidentiality clauses in accordance with the code of ethics of the profession. Any queries please call +33 1 43 20 84 74 – or drop us a line at contact@cp-traductions.com. Our team is happy to help with all enquiries.